OSWEGO, NY â€“ Two out of three are onboard. The Oswego County Legislature voted 23-0-2 Thursday night to join the town of Scriba in accepting a one-year PILOT (Payment In Lieu Of Taxes) agreement with Constellation (owner of the Nine Mile Point Unit I nuclear power plant). Legislators Mike Kunzwiler and Jim Oldenburg, both Constellation employees, abstained from the vote. Of the three entities involved, the town of Scriba voted to accept the deal while the Oswego City District Board of Education voted against it. An amendment to Thursdayâ€™s resolution allowed the county to move forward with the town on the PILOT, without the school district. 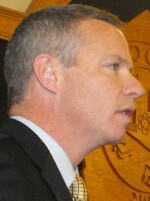 Kevin Caraccioli, the town of Scribaâ€™s attorney, addressed the legislature, encouraging them to support the agreement. â€œI want to give you the assurance that the town of Scriba will be standing committed to honor the agreement that was struck with Constellation, for Nine Mile Point Unit I,â€ he told the legislators. It is important to understand, that under New York State law, the municipality in which the property is located sets the assessment, he pointed out. â€œThe town of Scriba is host to three nuclear power plants. As such, we are the assessor, we set the assessed value,â€ he said. The power plant will be paying approximately 275 percent more in taxes next year, going from $4 million to $11 million, he said. There is a lot of benefit in negotiating with Constellation, he added. The best thing would be for all three entities to join in a deal with Constellation. 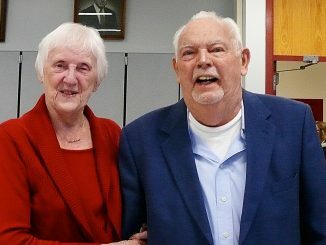 But if thatâ€™s not the case, the attorney said Scriba will exercise its authority, as the assessing unit, and enter into an agreement with the county that will fix a payment for the town and the county and establish an assessed value that will realize as close as possible the tax payment that the school district would otherwise receive – $4 million more than their budgeted figure that has already been passed. Legislator Kunzwiler praised the bipartisan manner in which the county conducted the negotiation process. Legislator Mike Kunzwiler, standing center, makes a point regarding the tentative agreement prior to the legislatureâ€™s vote Thursday night. 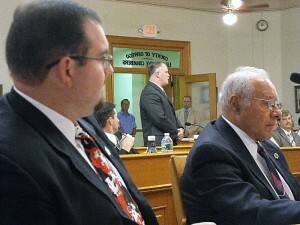 Looking on, from left in foreground, are legislators Terry Wilbur and Morris Sorbello. In background from left are Jacob Mulcahey and Fred Beardsley. â€œAny information we needed was given to us in a timely manner. It was a transparent process. I think that itâ€™s wrong for people to use scare tactics and say things are being done behind closed doors,â€ he said referring to Oswego school board member (and former county legislator) Fran Hoeferâ€™s remarks at the public hearing prior to the legislature meeting. During the meeting, when Legislator Barb Brown sought information about the plant and spent fuel rods, Legislator Doug Malone interrupted. â€œPoint of order, Mr. Chairman. This ainâ€™t got nothing to do about nothing. Now, step up to the plate and letâ€™s go,â€ he said. â€œQuite frankly, how the school district handles their portion of the money when they get it is none of our business. 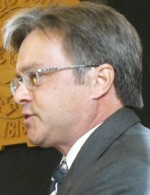 Whether they give their superintendent a raise or not is none of our concern,â€ Legislator Fred Beardsley pointed out. If the county is going to be negotiating bigger agreements later, there has to be an element of trust and confidence, Proud said. For a number of years, there has been conjecture about the possibility of a Nine Mile III.